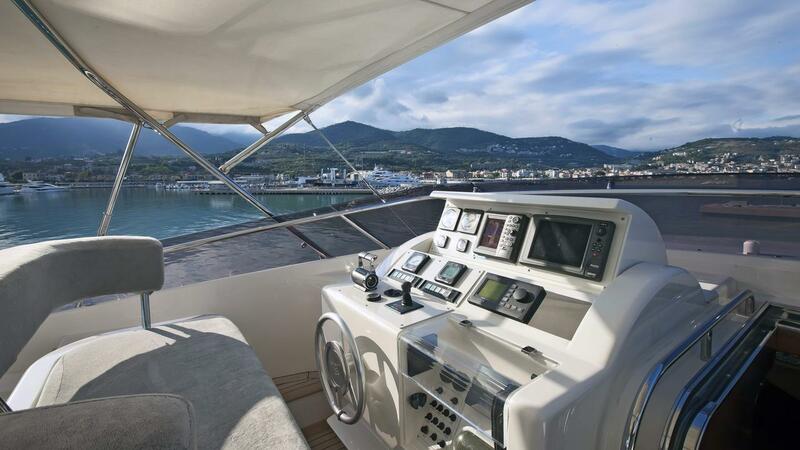 Luxury motor yacht LADY MARIA (ex Clementine) was launched by the reputable Italian shipyard Ferretti in 2007 and is the design concept of CRN Spa. 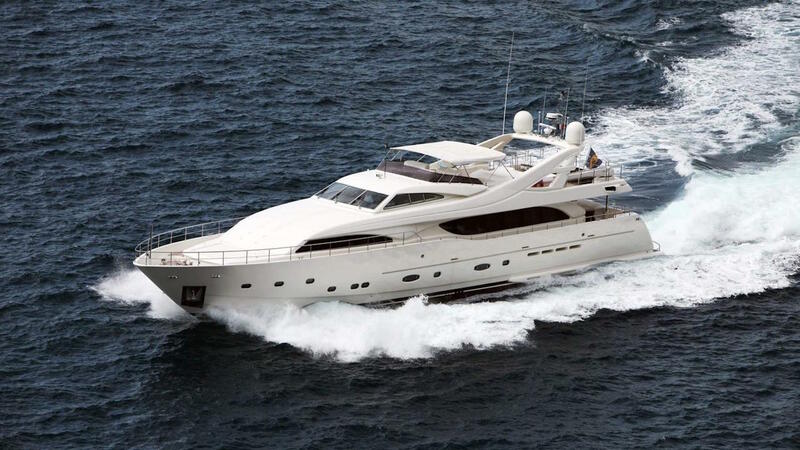 M/Y LADY MARIA measures 34m (111.5ft) and offers deluxe accommodation for up to 12 charter guests, making her the ideal choice for families and groups of friends. 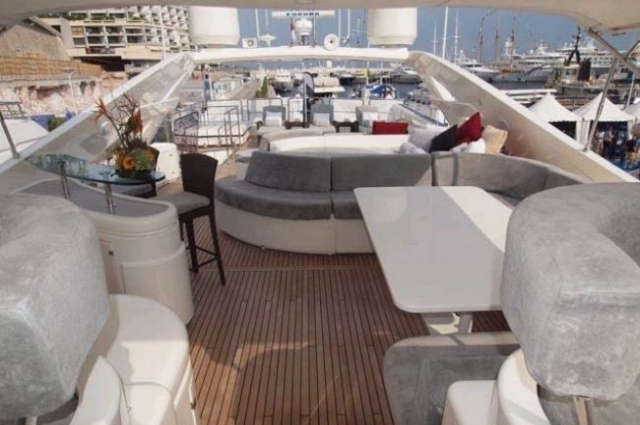 Crewed charter yacht LADY MARIA is available for private and event charters. 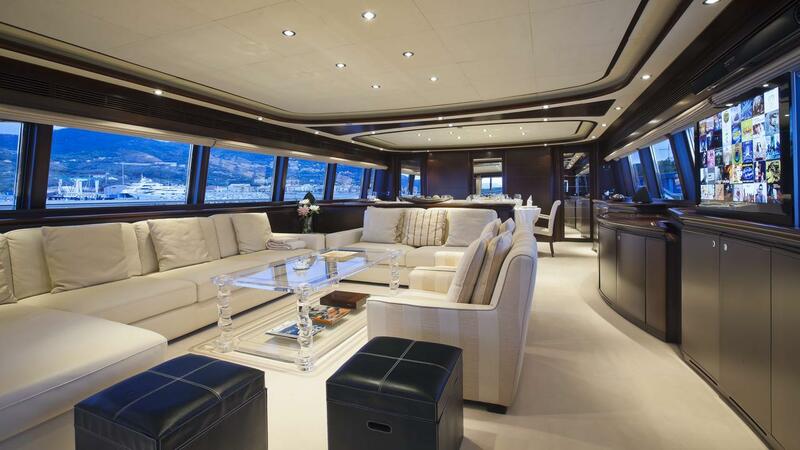 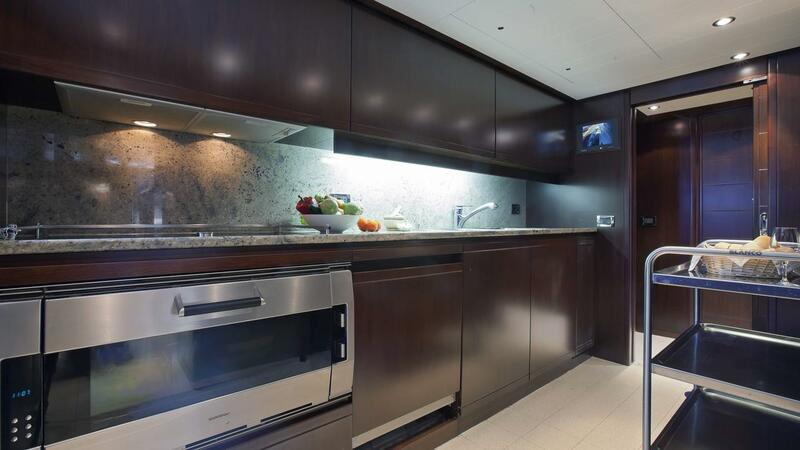 M/Y LADY MARIA has a contemporary, elegant interior, designed by Studio Zuccon, featuring a modern, neutral décor. 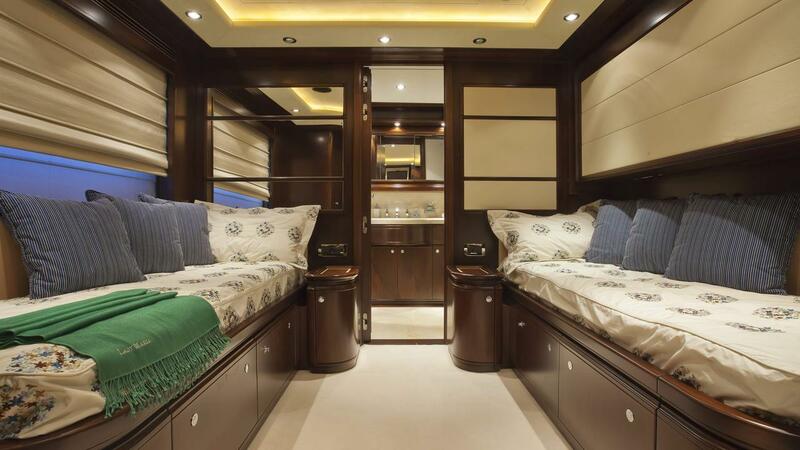 Subtle cream furnishings contrast harmoniously with the rich dark wood panels, creating a warm, inviting atmosphere. 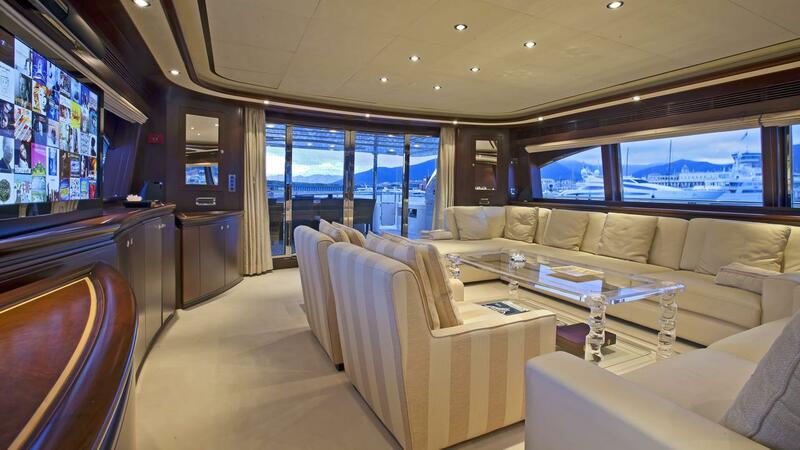 The salon and dining are an open plan, perfect for social gatherings. 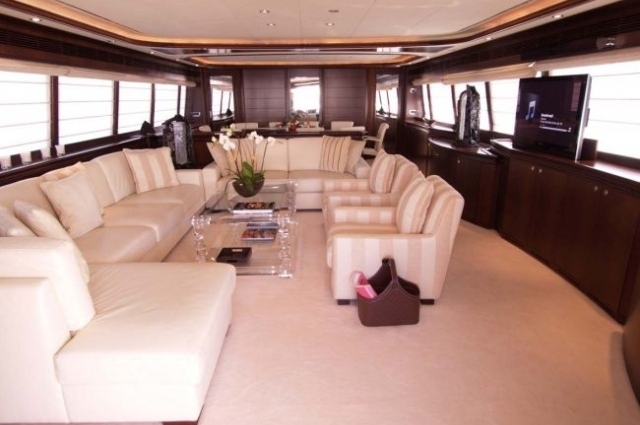 The lounge is aft and boasts two sofas and two occasional chairs, a clear glass coffee table and full entertainment center. 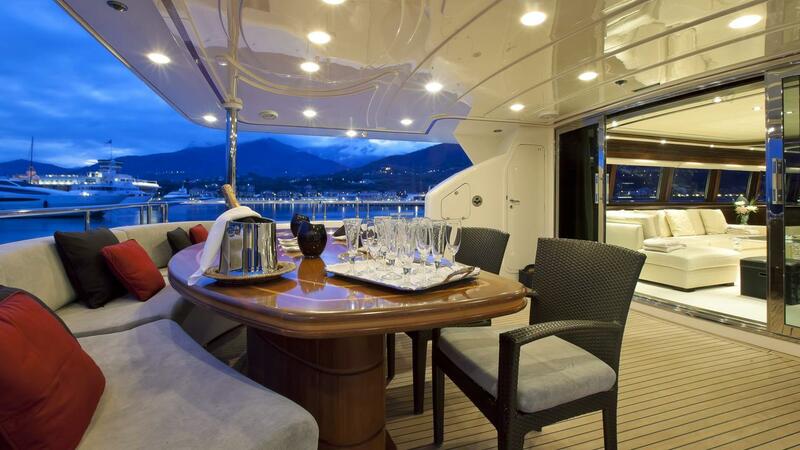 Forward, the formal dining table seats guests in class and style. 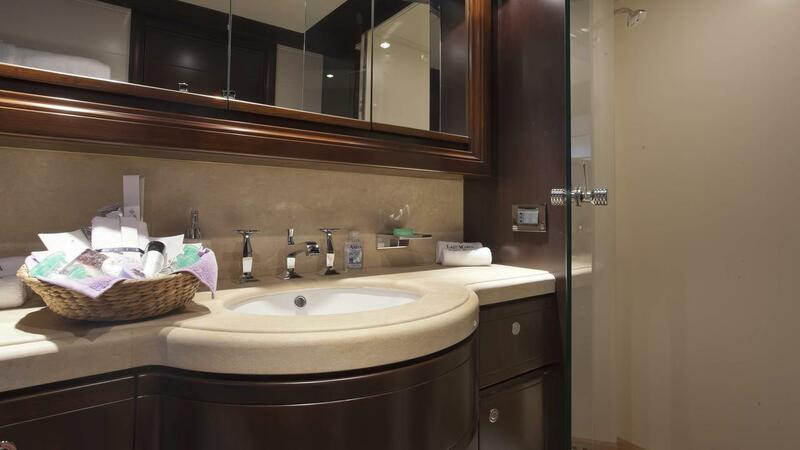 Guest accommodation is in 5 en-suite cabins. 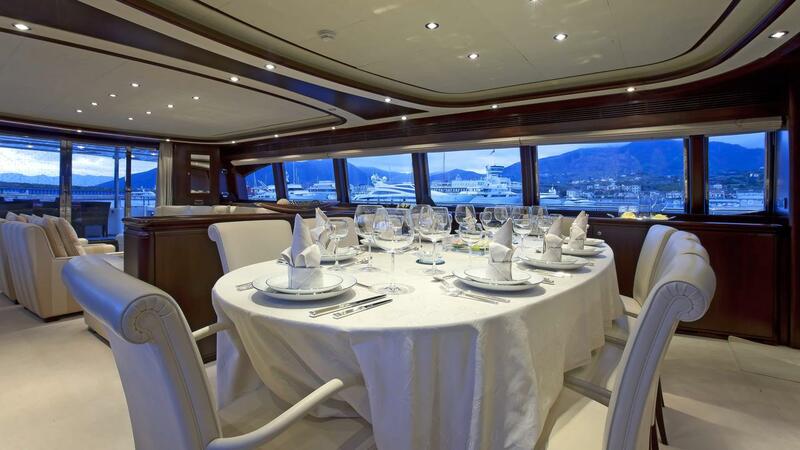 The master stateroom is on the main deck, forward of the salon and dining. 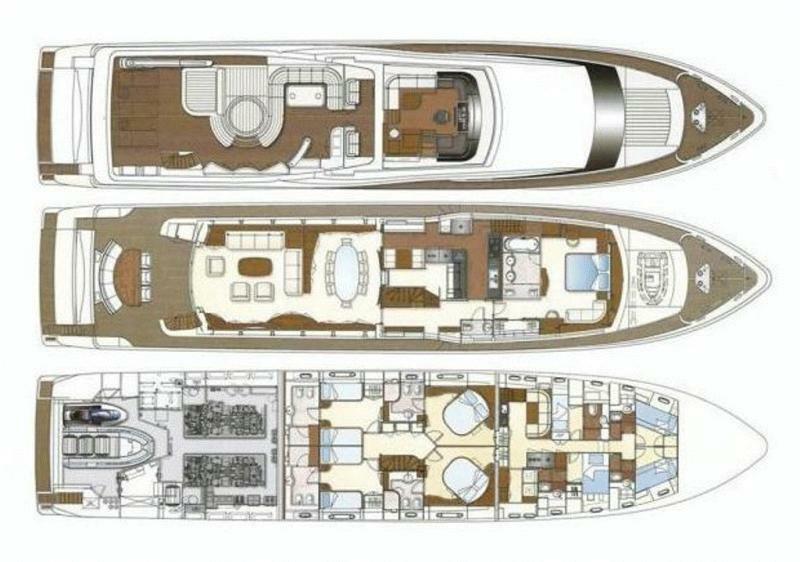 A further four cabins are on the lower deck, in 2 double and two twin cabins, the twin cabins offer an upper Pullman berth each. 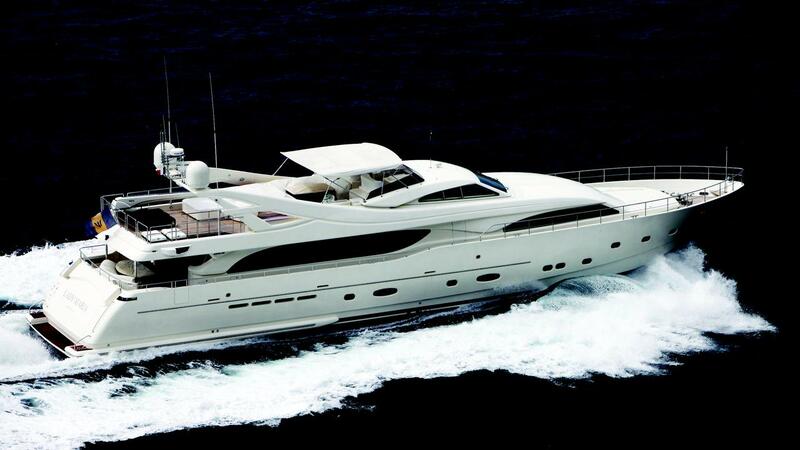 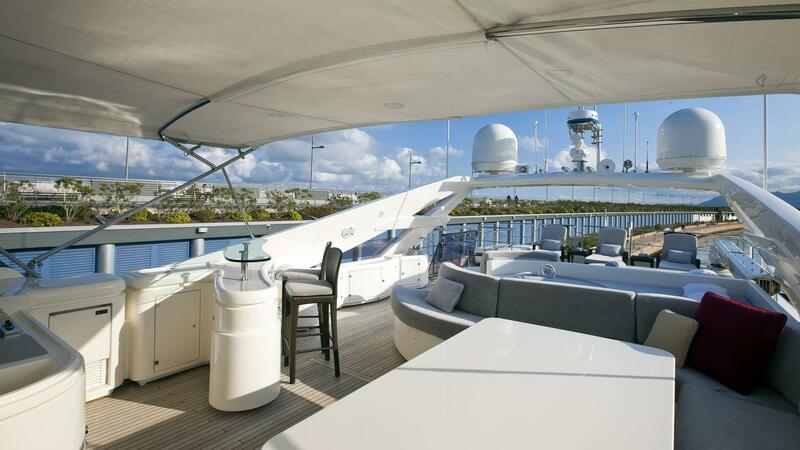 Motor yacht LADY MARIA provides exceptional exterior living on two decks. 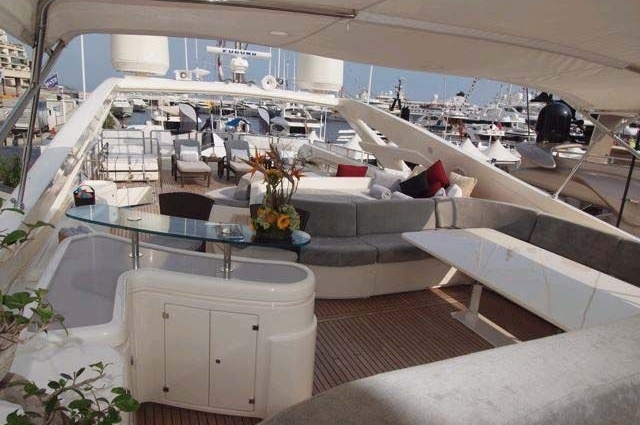 The aft deck is shaded and spacious, with built-in seating, an alfresco dining option and direct access to the luxurious salon. 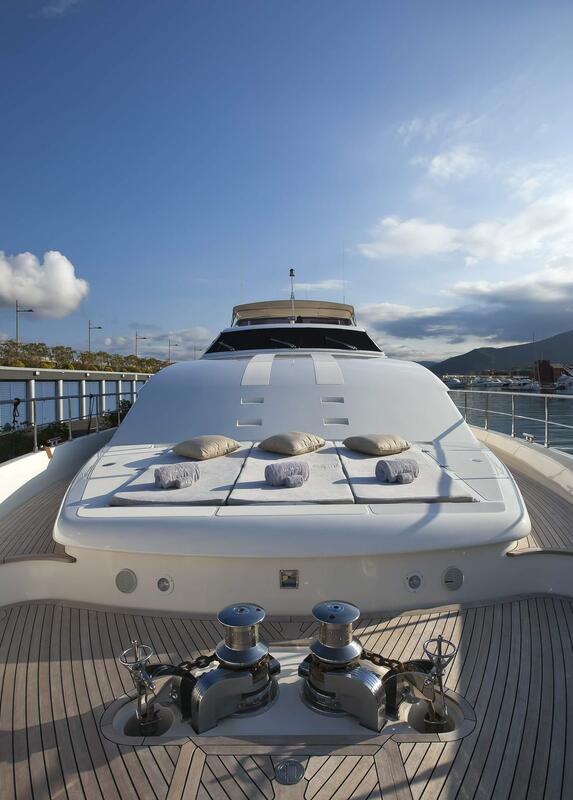 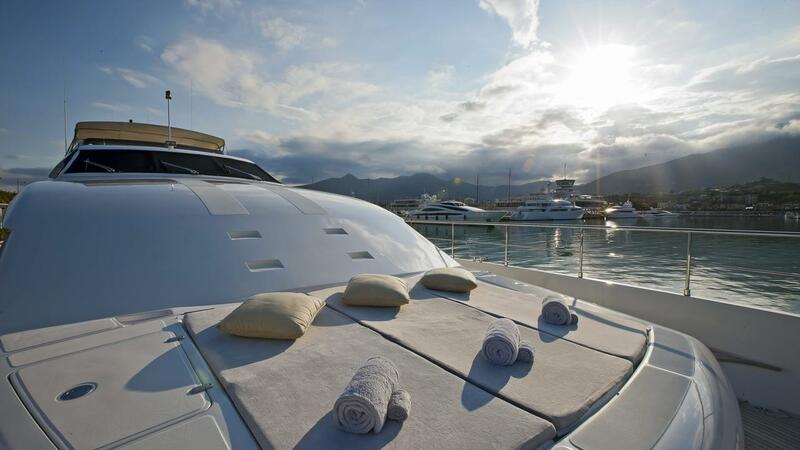 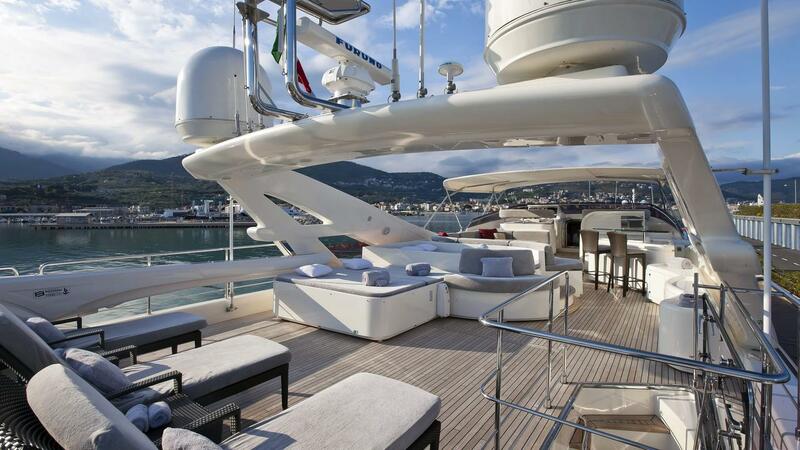 Wrap around decks leads to the generous foredeck, which offers guests a triple sun pad. 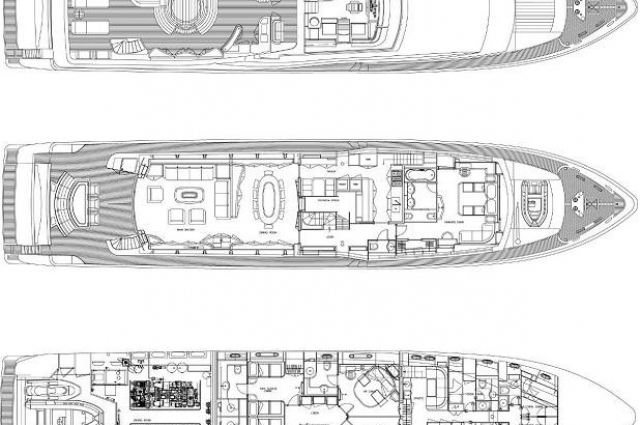 Above the main deck, the flybridge is ideal for any occasion and boasts a further alfresco dining option, removable Bimini cover, wet bar, sun pad, chaise lounges and deluxe Spa Pool tub. 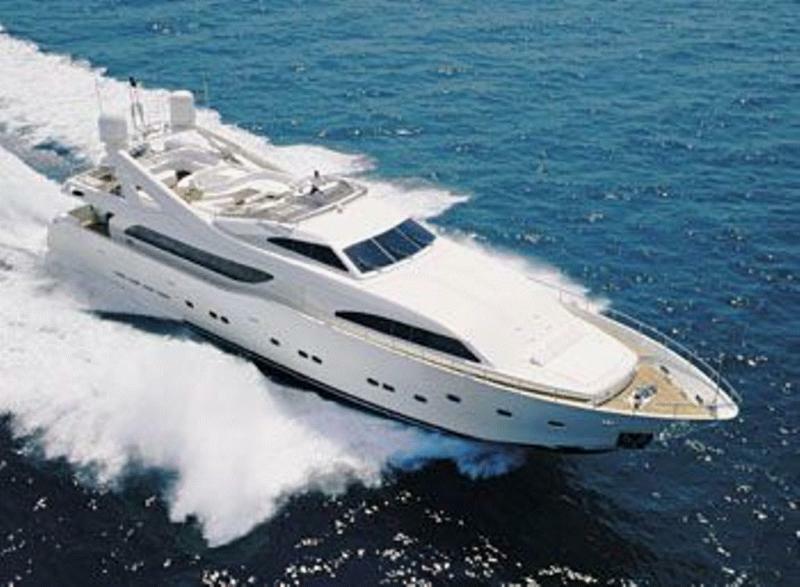 The LADY MARIA motor yacht is powered by 2 MTU 2000hp engines; she is capable of speeds ranging from 25 – 28 knots flat out. 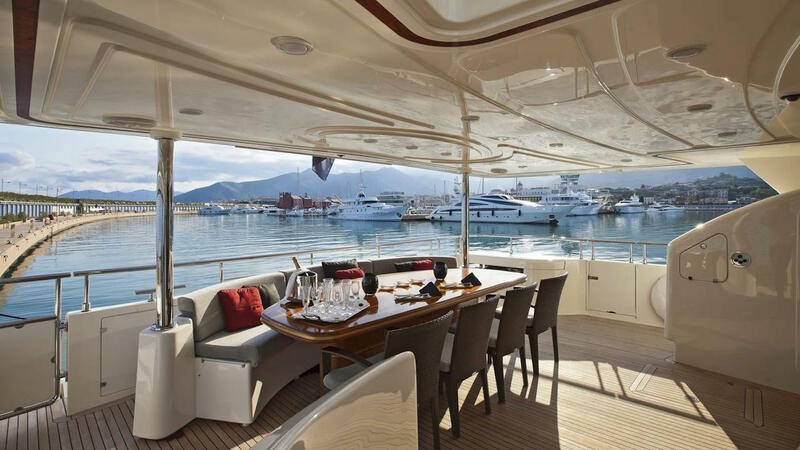 Zero speed stabilizers provide optimum comfort and anchor, while a discreet professional crew of 7, ensure a most memorable crewed yacht charter holiday. 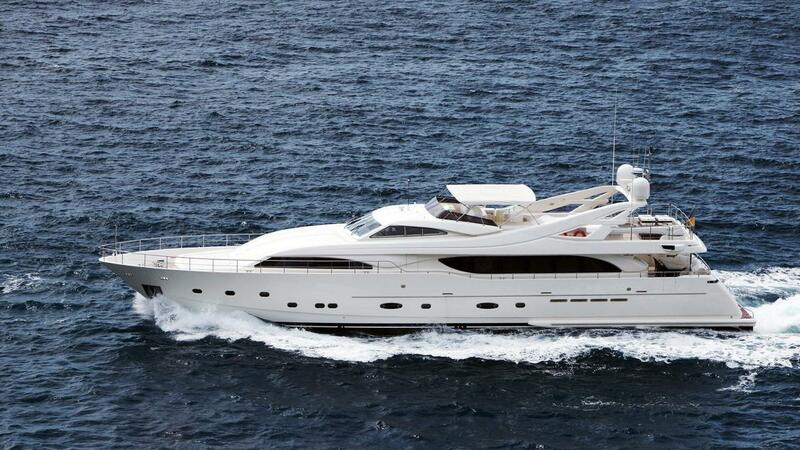 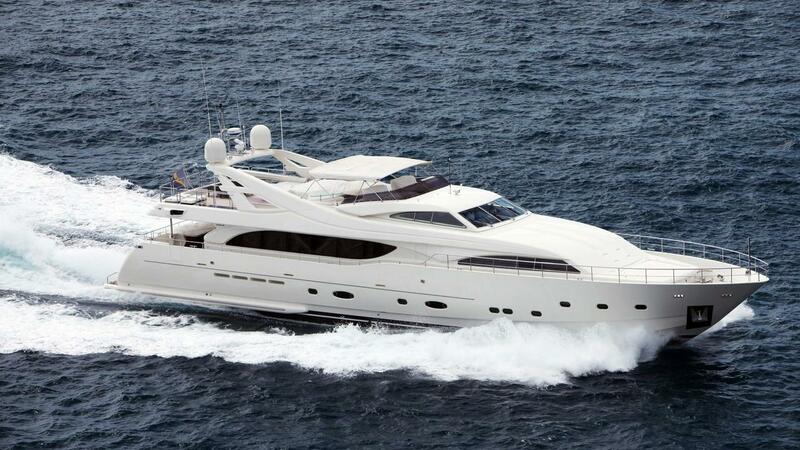 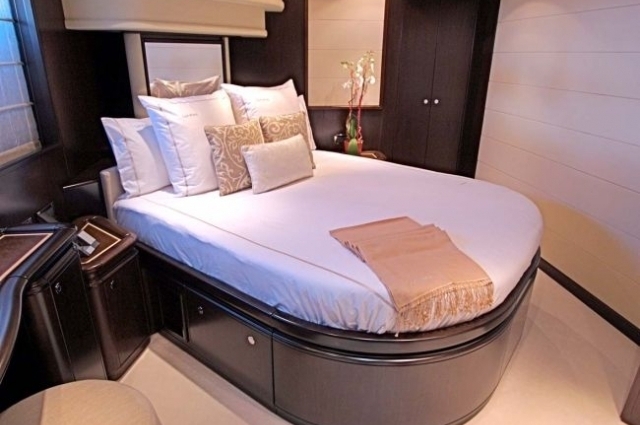 Luxury yacht LADY MARIA offers 5 en-suite stylish cabins for up to 12 guests. 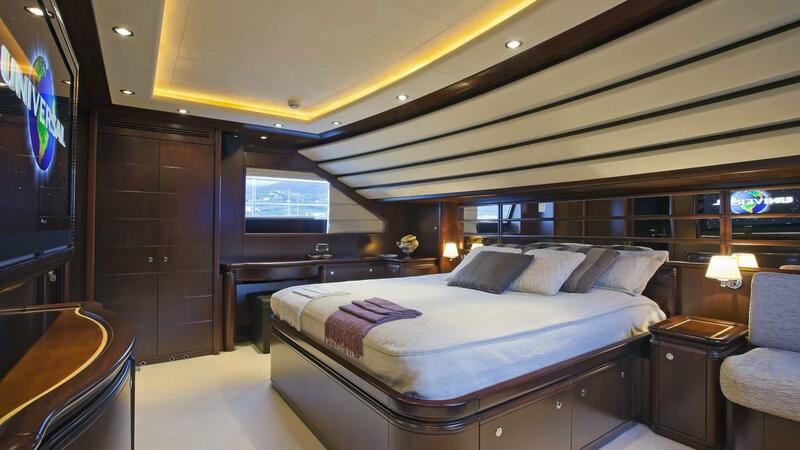 The master suite is on the main deck, forward of the salon and dining, with private access. 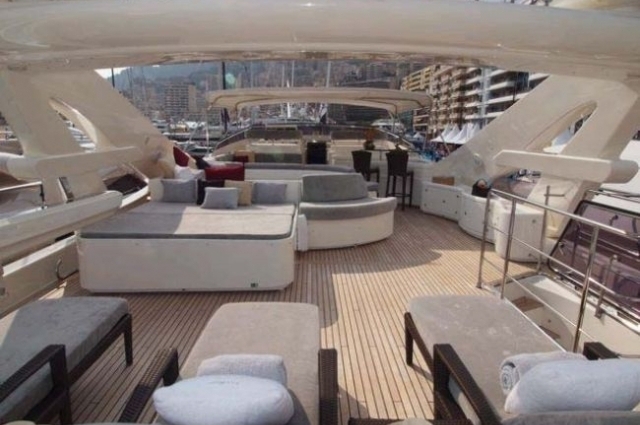 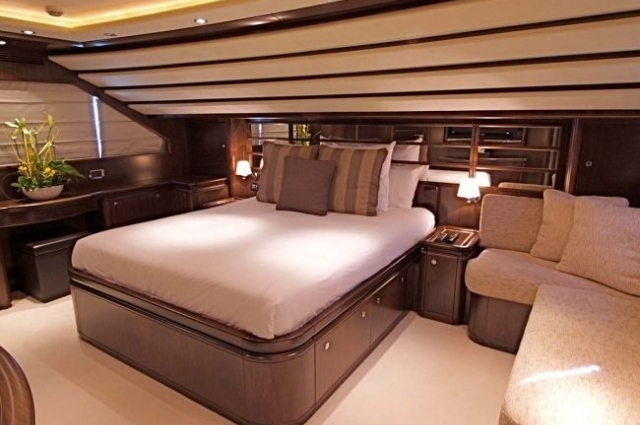 The master is full beam of the yacht offering a king size center lined bed, sofa, vanity and en-suite with deluxe tub. 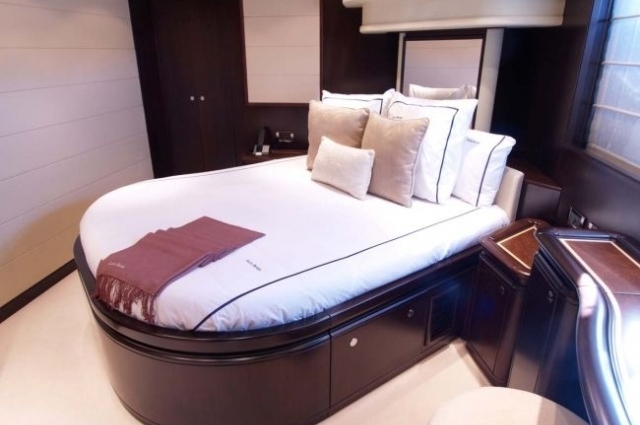 Below decks and amidships are 2 mirror image double cabins, with queen size beds each. 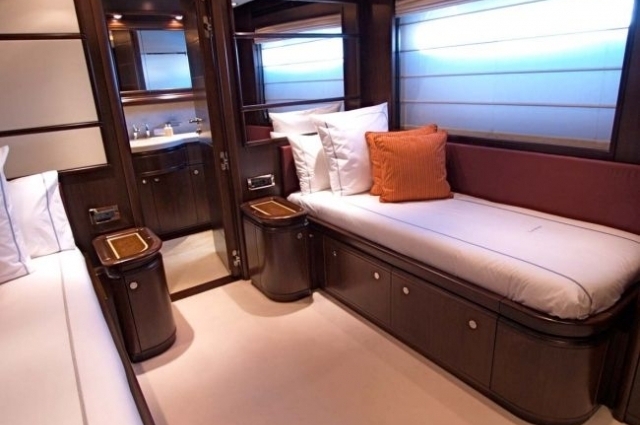 A further 2 mirror image twin cabins are amidships aft, offering 2 side by side single beds and an upper Pullman berth each. 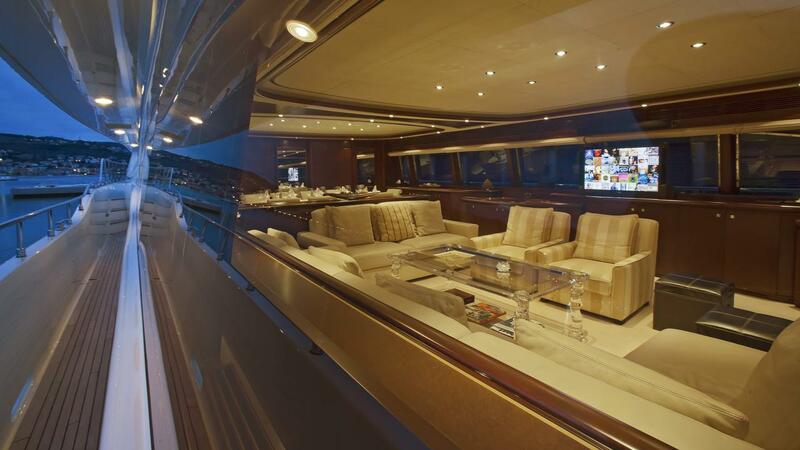 All 5 cabins benefit from entertainment systems.